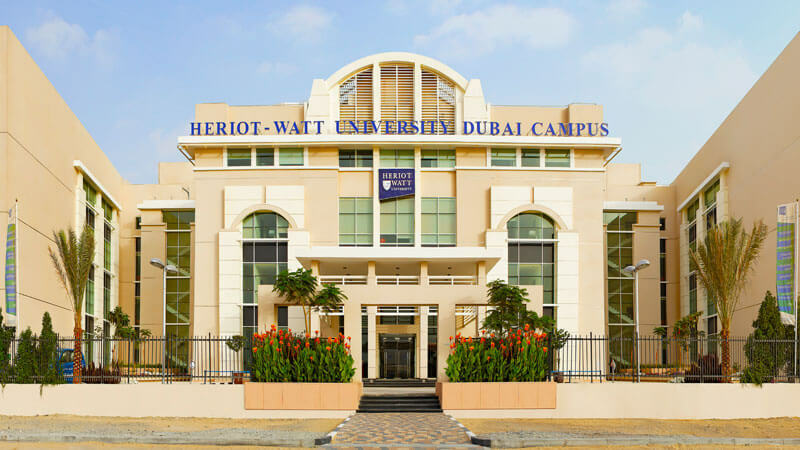 Heriot-Watt University is now the largest International University in Dubai with over 4000 undergraduate and postgraduate students. It was the first overseas university to set up in Dubai International Academic City, offering top quality British education to undergraduate and postgraduate students and executives from the Gulf and further afield. Heriot-Watt was invited to Dubai to provide specialized programmes in the fields of management, engineering, built environment, food science and fashion. The University has been operating in Dubai for over a decade and the brand new, purpose-built campus in Dubai International Academic City offers excellent facilities and programmes ranging from Masters programmes in disciplines as challenging and diverse as Petroleum Engineering, Construction Project Management, Management, Energy, Information Technology and the world-renowned Edinburgh Business School MBA, to undergraduate degrees in Management, Construction, Quantity Surveying and Engineering. In 2017 Heriot Watt won the “DEWA Conservation Award for Educational Institutions that Implemented Energy Efficient Technologies”. Two Dubai hotels have with special CATE 19 offers including the 4 star Radisson Blu in Silicon Oasis, just ten minutes from the university offering a corporate rate at almost 50% of the room price (approx. AED 375/night or £80/night). A second option is the Premier Inn again in Silicon Oasis which is a three-star budget hotel (around AED 186/night or £35-50/night). Both hotels are connected to the University with public transportation (buses) and there are also taxis and Uber cabs available at a low rate. Dubai International Airport is 14 km away and it is only around 15 minutes by taxi to the City Centre Mirdif and The Dubai Mall, traffic permitting. 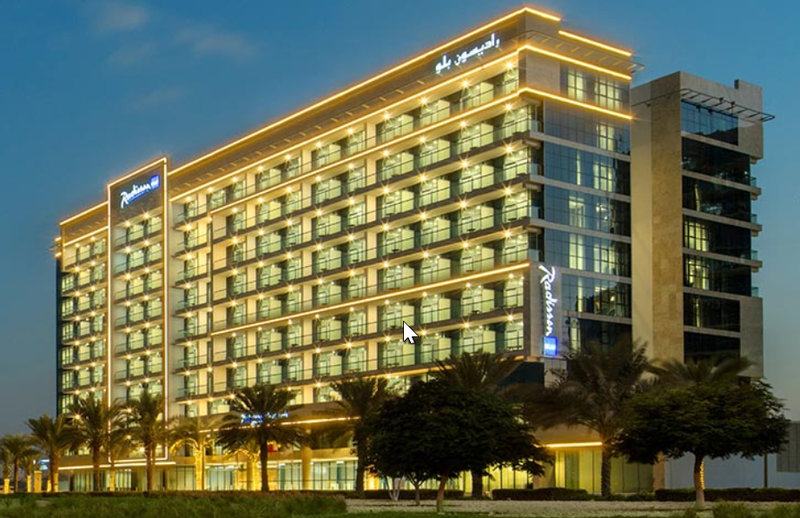 The Radisson Blu Hotel Apartments Dubai Silicon Oasis is a four-star hotel located 8km from Heriot Watt University Dubai Campus. Major tourist attractions like the world’s tallest building Burj Khalifa and IMG Studios are just 20 minutes away from the hotel. The majority of apartments have private balconies and all meeting & event rooms have floor to ceiling windows giving full daylight. Free high-speed wireless internet access is provided to all our guests. The entire top floor features male and female fully equipped cardiovascular gyms, saunas and steam rooms to enable our guests to stay in shape at any time. Two rooftop outdoor pools are ideal to stay refreshed while enjoying a wide selection of refreshing drinks. 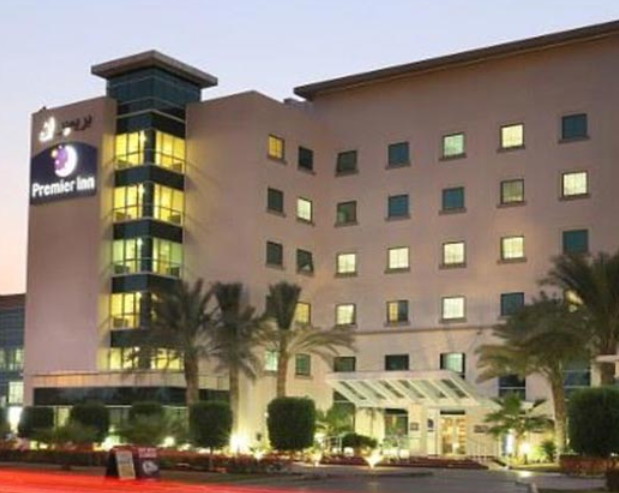 This Premier Inn is a 3-star property and straight-forward hotel, located just off Emirates Road in Silicon Oasis. Set 8.5 km from Heriot Watt University Dubai Campus. The relaxed rooms feature some contemporary decor and provide free Wi-Fi, flatscreen TVs and mini-fridges, along with tea and coffee-making facilities. Baby cots can be requested. Freebies feature parking and a daily shuttle service to some main attractions. Other amenities include a rooftop pool with a lounge deck, a gym, a casual restaurant and a bar. Delegates should mention that they are booking for CATE 2019 in order to access the discount.